The Glow 5K Run & Walk is in honor of Pete Mele Sr., a life-long Springfield resident. He was diagnosed with leukemia in 2004 and was treated at University of Pennsylvania hospital when he was diagnosed with a more aggressive form of leukemia in December of 2012. Pete sadly lost his battle with leukemia in April of 2014. Pete was actively involved in the Springfield community, especially in the Home and School Associations at Sabold Elementary and E.T. Richardson Middle School. He enjoyed cooking, walking his dog, and spending time with his immediate and extended family. 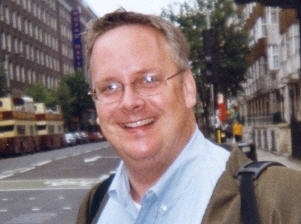 Pete was also a strong supporter of SSDM, always helping neighbors, nieces and nephews, and family friends to reach their goal donation totals. 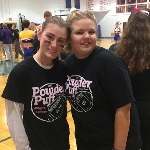 The Mele family would like to thank all participants in this year's Pete Mele Sr. Glow 5K Run & Walk and look forward to participating in the event themselves. 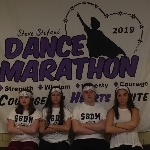 This Run and Walk is a fundraising event for the 2019 Steve Stefani Dance Marathon, a Mini-THON that benefits Four Diamonds. In the U.S., more children die from cancer than any other disease, with 16,000 kids diagnosed every year. But we are working to change this reality with Four Diamonds and their mission to conquer childhood cancer through superior care, comprehensive support and innovative research. With the help of people like you, Four Diamonds supports more than 80 pediatric oncology research professionals who are learning more about how cancer forms, how it can be treated and how treatments can be more effective. This cutting-edge research will benefit children around the world. Learn more about Mini-THONs and how Four Diamonds is inspiring, empowering, and activating youth and young adults in the fight to conquer childhood cancer by visiting www.FourDiamonds.org.